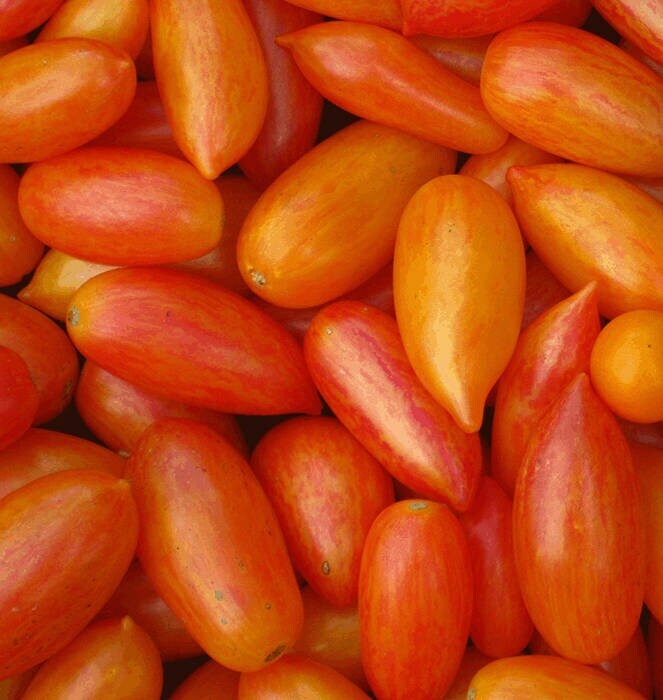 Blush is the creation of Artisan Seeds: an elongated cherry like the Tigers, this one in yellow with pink marbling that predominates as the fruit matures. Its translucent shine makes for beautiful eye candy, but it is the taste that really pops out. Sweet, fruity, and intense. Extremely productive too. See Lucky Tiger and Pink Tiger for pink and green versions.